As a math teacher and homeschool mom, I try to encourage and promote STEM learning in our home (science, technology, engineering and math). But I’m also a very busy mom with four kids, church responsibilities and an online business. 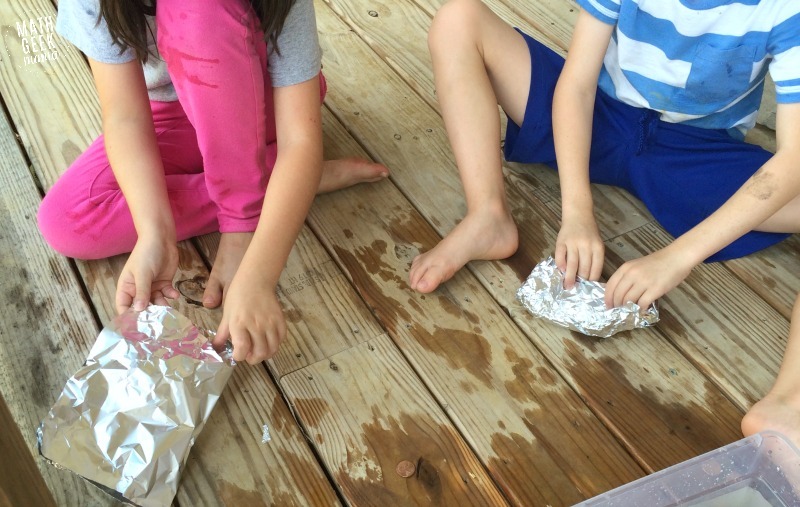 Although my desire is to provide fun, engaging, hands on science for my kids, the reality is that making plans and gathering materials is very time consuming. So I am thrilled to share an elementary science curriculum that has lifted that burden off of me, and requires almost no prep on my part! It is hands-on and challenging, but not overwhelming. Just the right combination for our family right now! With kids who are still young, I am all about keeping things simple. I have no desire to stress myself out by over planning or trying to cram more into our days than I or my kids can handle. But even still, I try to find time for subjects like art, music, history and science by having a loose plan. For science, this means we have “Science Friday.” On Fridays, our focus is on having fun, reviewing what we’ve learned that week and doing a hands-on science experiment. In the past, I’ve used The Curious Kid’s Science Book or one of the other books full of fun science ideas that we own. The only problem? It takes time to plan, prepare and set up these lessons. In addition, there was no real theme or connection between ideas from one week to the next (which was completely my own fault). We would simply do activities that sounded fun. So far this year, however, we’ve been using a science kit from Insight to Learning. This has made our science lessons on Fridays relaxed, enjoyable and fun for everyone (including me!). To begin, I chose to try their engineering kit for first grade. 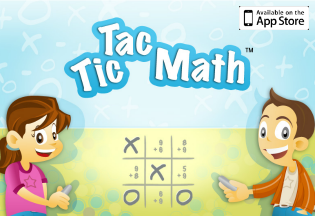 I’ve been using it to teach my two oldest, who are in first grade and second grade. It seems to be a perfect fit for my daughter (second grade) and a little advanced for my son (first grade). But I’ve just adapted things for him and it hasn’t been a problem. As I mentioned, this comes with an entire unit of engineering lessons already laid out for me. All the planning is done. All the materials are there. All I have to do is pick it up on Friday and go! Each activity is labeled with all the materials necessary in that bag. There’s also a simple to follow teachers guide which helps me know what the objective of each lesson is, what questions to ask, etc. 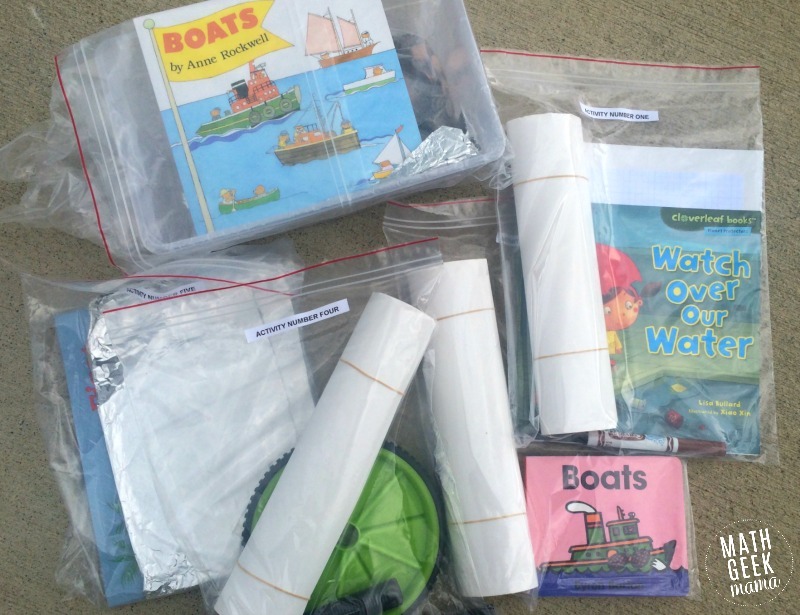 In addition, each activity in the engineering kit is literature based. If you’re been reading long, you know that I LOVE combining children’s literature with math and science. 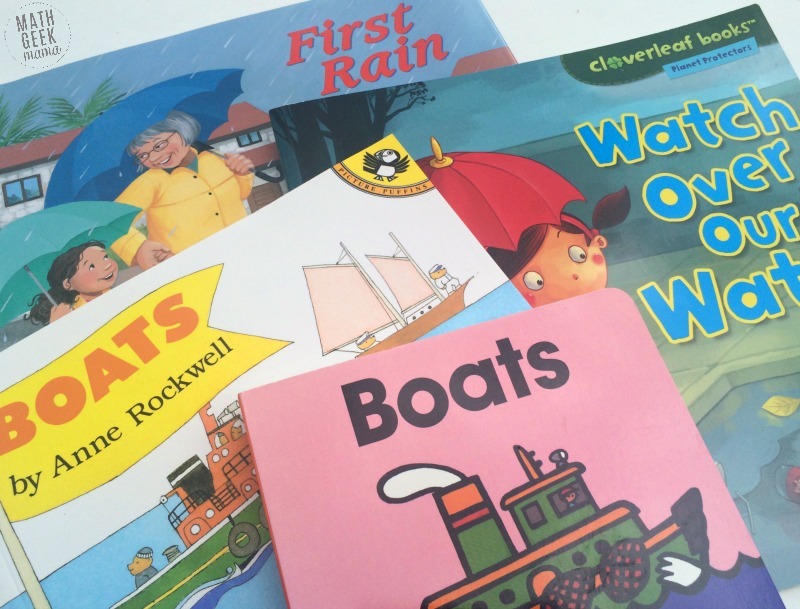 So I have been thrilled to read books with the kids as a way to introduce our lesson for the day. This has probably been the thing that I love most about this kit. It combines reading, math and engineering together. The read alouds have sparked conversations and gotten my kids’ brains thinking before we tried out each lesson. 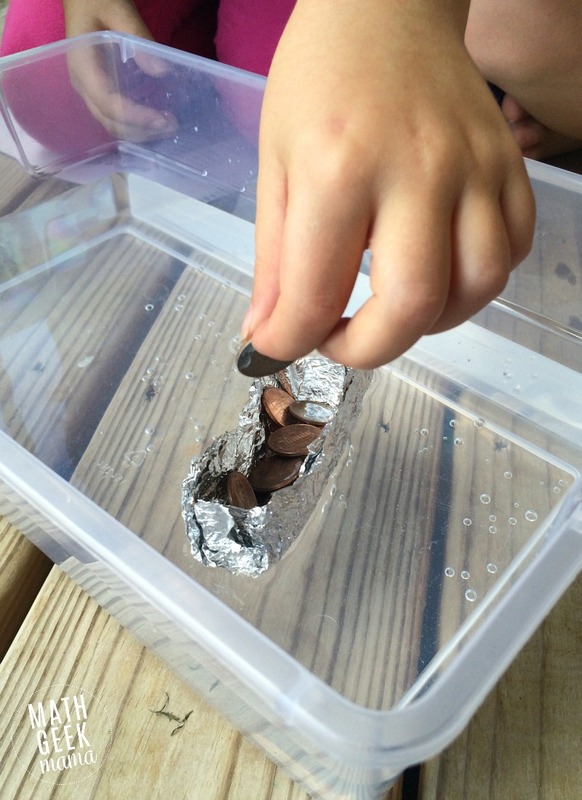 The two activities they have loved the most are about designing boats. The first activity was an introduction and had them think about the sizes and shapes of boats and how that affects the way they’re used. 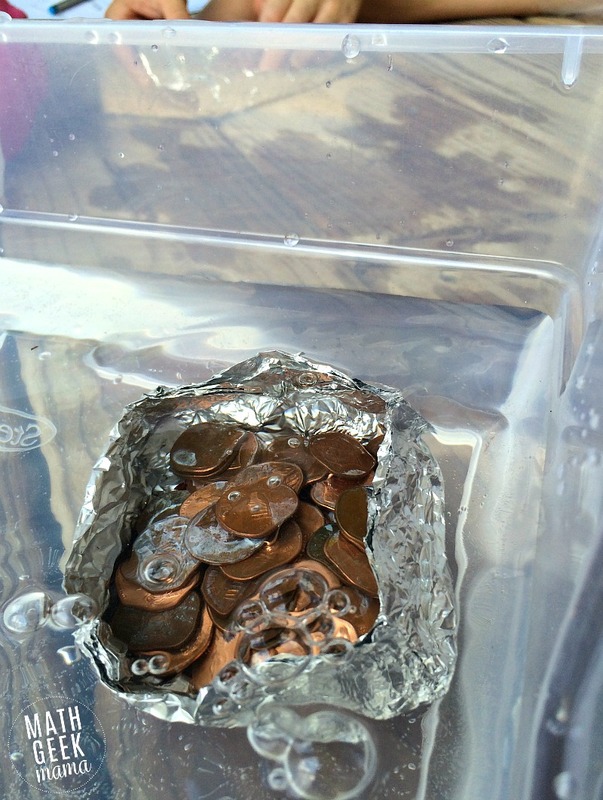 The second activity gave them a chance to get their hands wet (literally) and try out some of their design ideas. 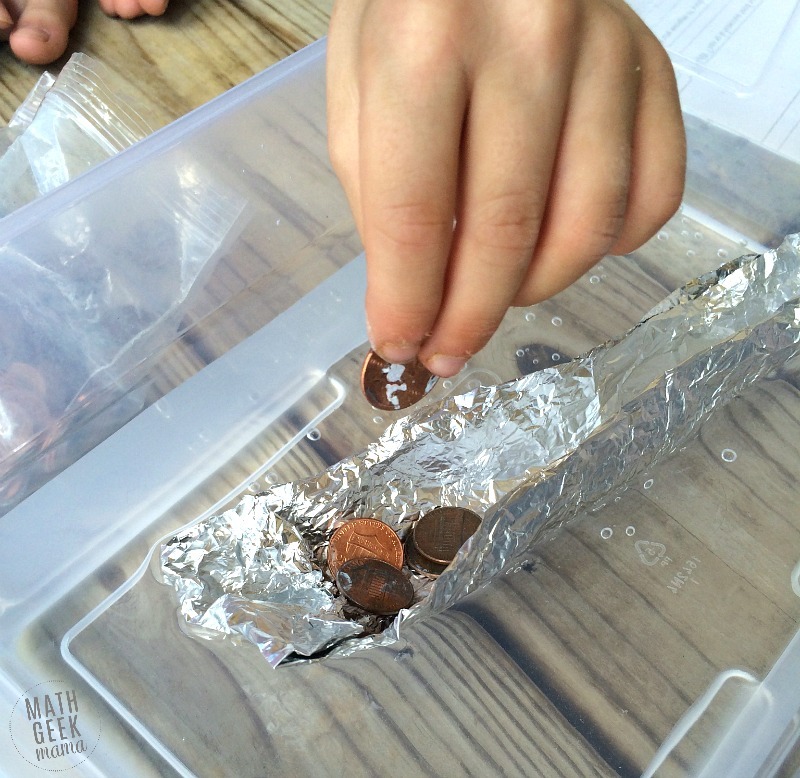 After reading about boats and discussing different designs, they folded aluminum foil into a “boat” and tested out the strength by seeing how many pennies it could hold. After their initial trial (with only ok results) they went back to the drawing board to redesign and re-test. The final result? 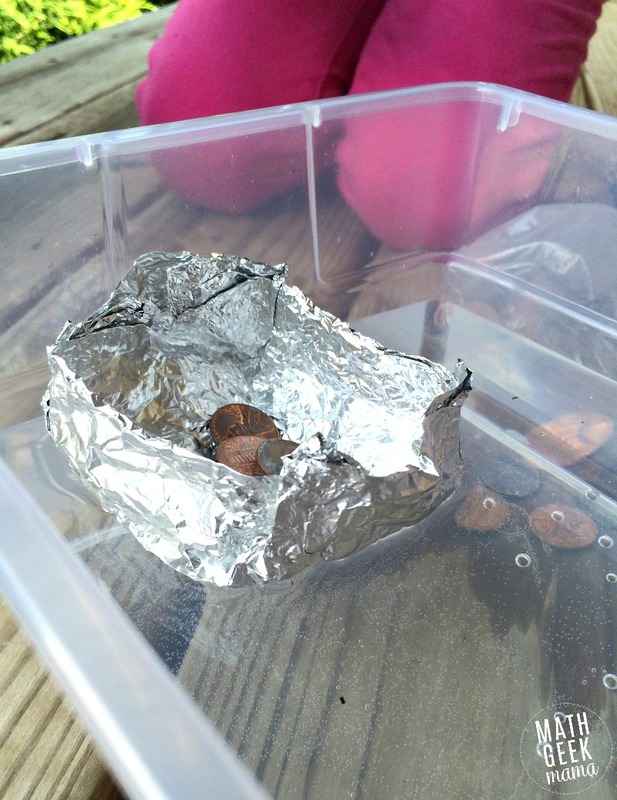 An aluminum foil boat that held 59 pennies! We were able to have great discussions about what kinds of things improved their design and what didn’t work so well. 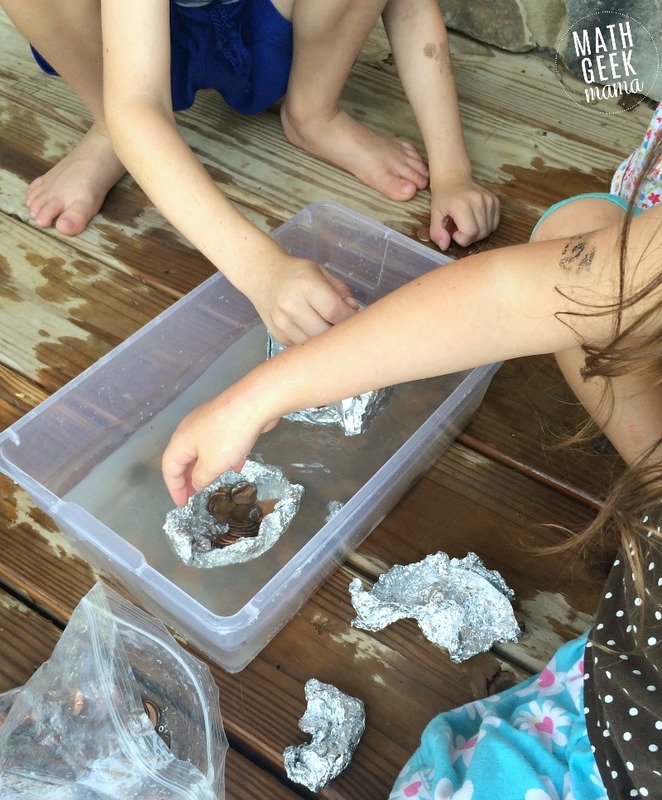 They enjoyed this so much, they ended up spending the rest of the afternoon outside building and testing boats, and teaching their younger sisters how to design a boat! 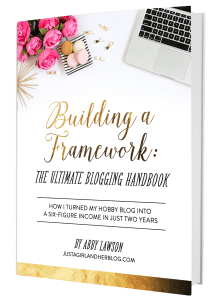 Is an Insight to Learning Homeschool Subscription right for You? Overall, this has been a great and fun way to introduce my kids to engineering concepts such as problem solving, design and improving a design. It’s also been the perfect amount of science for my kids and our family right now. The only thing I had to adjust was making it work for just two kids. 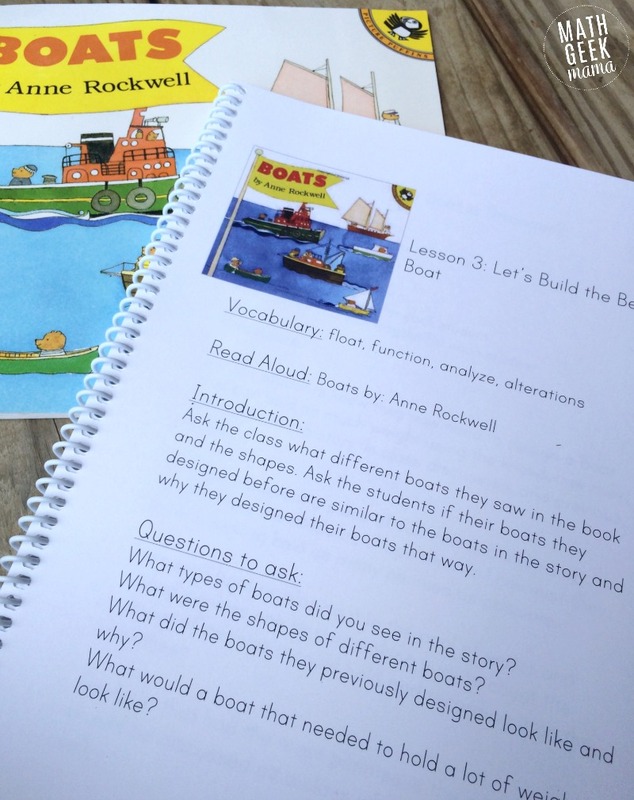 Since these kits were originally designed for classroom use, some of the directions assume a large group (like graphing the results for the whole class or comparing the boats of the whole class). This didn’t cause a problem though. I simply tweaked the plan to fit our family. For instance, the first activity was about water consumption and we were to make a chart of water usage for everyone in the class and then graph it. To allow for a more interesting table and graph, we just added other family members. And rather than comparing boats for the whole class, I had them each design multiple boats and try to improve and compare designs each time. The kits are available as a subscription (every 6-8 weeks). The cost is $25 a month for 10 months. Given the depth of the lessons, and the amount of activities you receive in each kit, this is a great price (in my opinion). The only thing is that you do not get to keep the materials. That means that after you’ve completed the activities with your child, you have to return everything (except consumables like poster board and paper) to the company. The upside is that you don’t have to purchase expensive materials you will only use for one science lesson, and you don’t have to find a place to store all the materials. The downside is that you don’t get to keep the teacher’s guide and books to possibly do the lessons later with younger siblings. Of course if you find a book and activity that you really love, you can always purchase just that book on Amazon or a used bookstore. 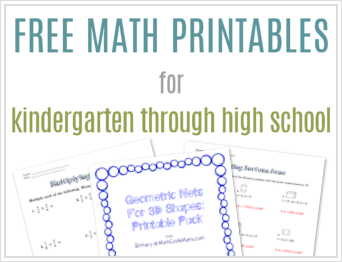 And if you do want to keep all the materials and lesson plans, you can purchase the kits individually for $125. If you want to try it, you can get 50% off the first month’s subscription! Simply sign up on their website, and a check for 50% of one month ($12.50) will be mailed in your first shipment. What do you think? What are some easy, low-prep ways to weave STEM learning into your homeschool? Share in the comments!